As confirmed by our last two Quality Assurance Agency inspections in 2013 and 2018, our standards are excellent. 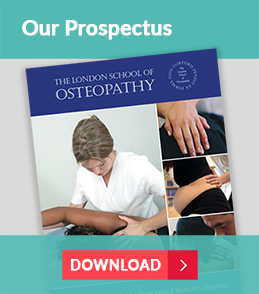 The London School of Osteopathy has been training osteopaths for over 70 years. The LSO has two sites in London. Our college with a mix of class rooms, tutorial spaces, study spaces, library and admin offices is based in Bermondsey, which is a 10 – 15 minute walk from London Bridge. Our busy teaching clinic in East London, 3 minutes walk from Bethnal Green underground station. It serves the local community and is where our students gain their practical experience. Our students come from a wide range of backgrounds. For some this is the first time they have studied for any formal qualification. For others it may be their second (or even third!) degree. Students have the opportunity to gain clinical experience within their first year of study at our clinic. Unlike traditional lecture rooms our students aren’t sat behind desks – our teaching rooms are equipped with treatment plinths. Students are able to gain ‘hands-on’ experience within the classroom. All our osteopathic lecturers are registered practitioners. 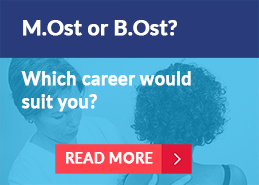 When not teaching they are provide treatment to patients in a variety of clinics. Whether you are a mature student who has never been to college, a professional looking for a change in career or a school leaver, we believe in providing you with a warm and supportive learning environment. You will be taught in small groups where you will quickly get to know your lecturers and fellow students. Lecturers are focused on supporting your individual needs. Students support one another with peer to peer learning, whether in the classroom, the clinic or in our dedicated library. 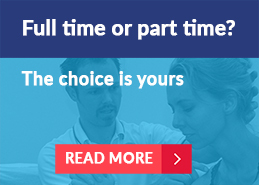 Students can choose to study on a full-time or part-time basis. Where possible we allow students to schedule their own clinical time. 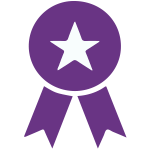 Newly qualified graduates have the opportunity to spend time as a ‘Graduate practitioner’ in our clinic. As part of their studies students are taught business and marketing skills, and how to write a business plan, making it easier to start up a new business on graduation.